When our Nexus 7s upgraded to KitKat, one key piece of functionality was lost in the mix—Flash support. Of course, even before that we never had official support on the Nexus 7, but hacks seemed to do the job just fine. As it stands now, Google remains on the warpath against Flash, opting instead for HTML5 use, specifically in Chrome (where Flash never worked anyway), and of course Adobe stopped supporting Android long ago. This wouldn't be so bad if so many websites still didn't utilize Flash, like Amazon Instant Video, deeming them usable on mobile. So until these websites decide to update and give in to HTML5, it seems like the rest of us are kind of scroogled. That is, until dev Jassy Franc (aka surviveland) decided to hack Flash Player and provide it to the masses. Without further ado, here is how to get Flash working on your device running Android 4.4 and above. For compatibility reasons, make sure to uninstall any existing Flash Player you may have running on your device before installing the hacked file that will be provided for you. This method does not currently work for any browser other than Dolphin, but luckily it's an efficient and popular one. Make sure to grab the latest version of Dolphin Browser off Google Play. The most recent version of Dolphin includes the Jetpack feature, which previously was a standalone installation. Essentially, Jetpack speeds up Dolphin Browser by using their HTML5 rendering engine that powers the browser for the best web game and app experiences. Just open the settings by tapping the small dolphin icon in the bottom left corner, and make sure that Jetpack is enabled. Making sure that you have "Unknown sources" enabled, go ahead and download the newly hacked Flash Player directly on your device. Install it like any other app, then hit "Done". Our final step is to enable Flash support within Dolphin. Go into the Dolphin browser settings, select Web Content, and make sure Flash Player is set to Always On. 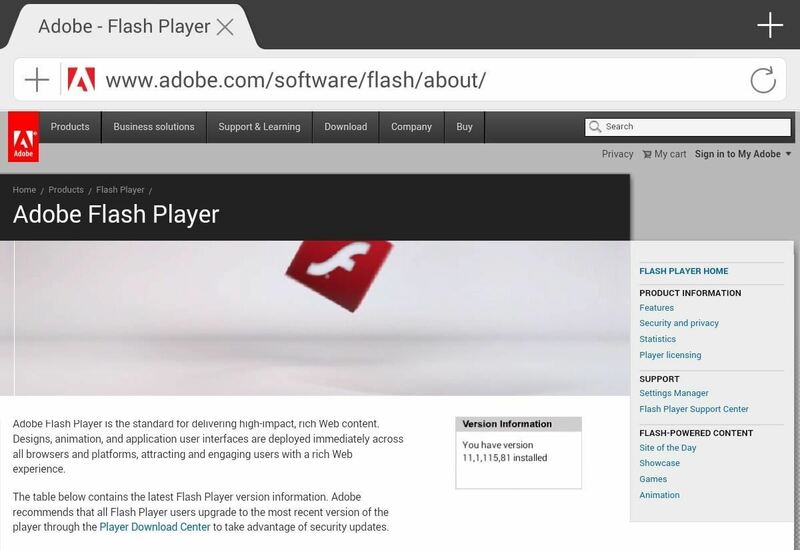 Go run a Flash Player Test on the Adobe site—if you see the red, bouncing box animation, then you did it! That's some fine work! It's a pretty simple, straight forward process that will enable you to use Flash Player in no time. And for my money, this method works much better than using alternative browsers such as Puffin. Modified apk link is broken ?? It's good to go now, give it a shot. Worked for me. What's wrong with yours? Excited to use, but did not work with Amazon. I still get a message, needs Microsoft Silverlight or this device is not compatible even though I have the bouncing f in the adobe flash test. 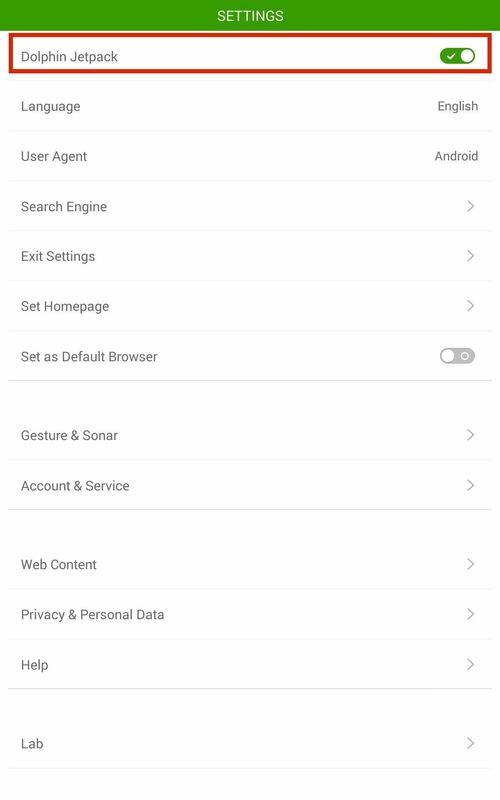 "How do I change user agent (Desktop mode, Android mode, iPhone mode)? 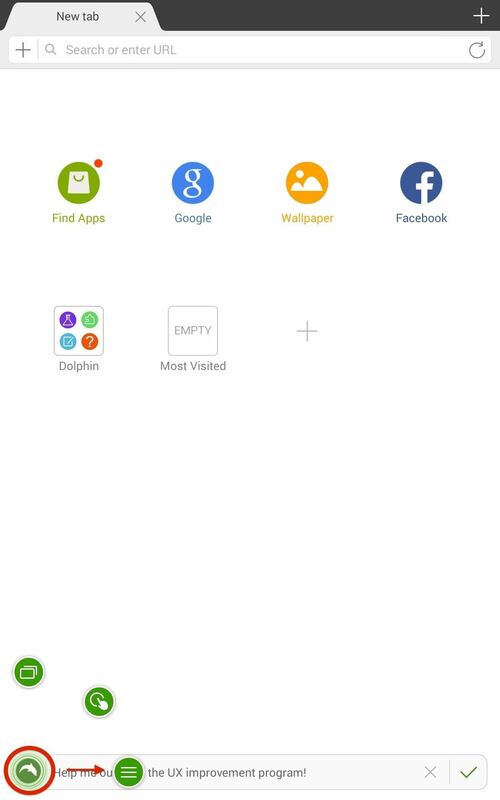 After launching Dolphin Browser, pls click Menu->Settings ->User Agent ->Desktop/Android/iPhone ->Done." Fix for #2 - there was a small link "click to use flash"
Got it! It still showed it wanting Silverlight on Amazon, but I went into my Amazon settings and changed preferred player to Adobe Flash, instead of SL, closed Dolphin, reopened, went back to Amz picked a title & played! Thx! Does not work for Acorn.tv. Error: this protected content cannot be played on this mobile platform. That may be more of an issue with the website not being supported for mobile devices. What is it about the update that ruined it? You can also search for an APK of the previous version if it is indeed the update. it seems that the new version of dolphin don't have the settings to turn on the flash player. Whenever I'm playing a flash on a website, it says need to install flash. Sept 25 -- Google blocked download of the hacked player, citing Terms of Service violations. Had I known I couldn't watch videos, I wouldn't have bought this product. Thank you so much for this article, it has made my life easy. I needed this update or set of clear instructions to play the audio and view the site. Now I can work on my phone. I dont need a laptop or a tablet. Thank you so much again. Please continue to do the good work, I assure you that you are making somebody else's life a lot easy. You made my day and i can work on a simple Google A1 phone, if I dont have my laptop or tablet handy. This is a highly appreciated comment. Thanks a lot! After the whole process no image just sound in my flash test. oh man this worked!!! I was so frustrated with Google for the lack of Adobe flash thing (I watch sweden serials etc. and they are usually on flash sites) and it was a real pain to not be able to watch it on my tablet. You are awesome! thanks for this. I'm going to have to try this. Thanks! Just went through the process, installing the flash download and Dolphin and following all settings. So, I have to ask: is this supposed to work for Lollipop?